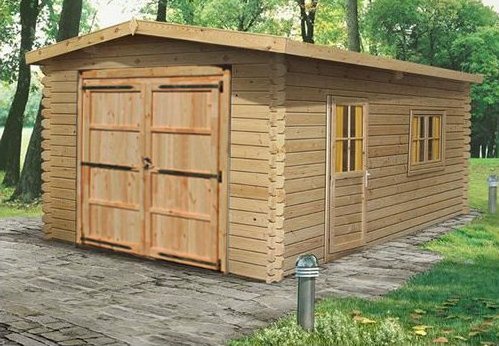 44mm Double Log Cabin Garage measuring 5.95x5.30m (19'5 x 17'4). With large open interior and two sets of double doors. 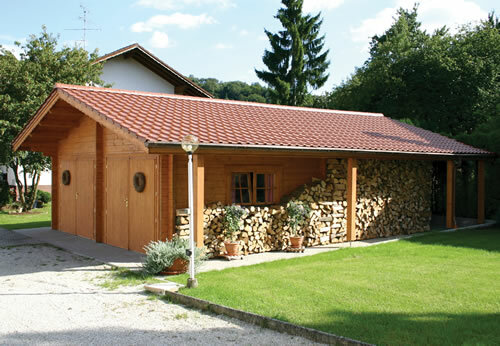 Log Cabin Double Garage 19'6 Wide by 26'2 made in 70mm Solid pine Logs. Two Garage Doors and double glazed access door and windows. 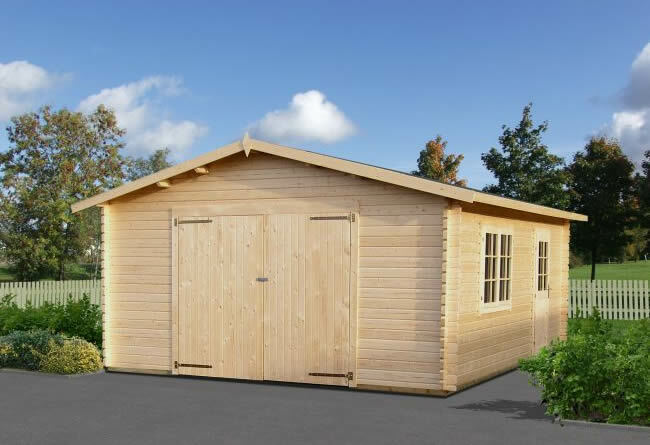 Log Cabin Garage 2 measuring 4.7x5.7m (15'4 x 18'7) with double doors and single pedestrian door. 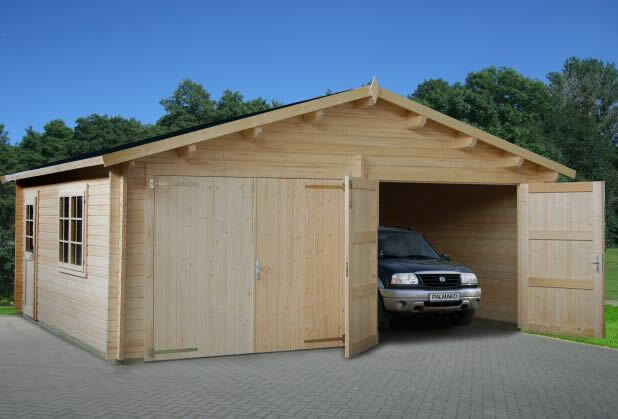 Perfect for storing your car or for use as a workshop. 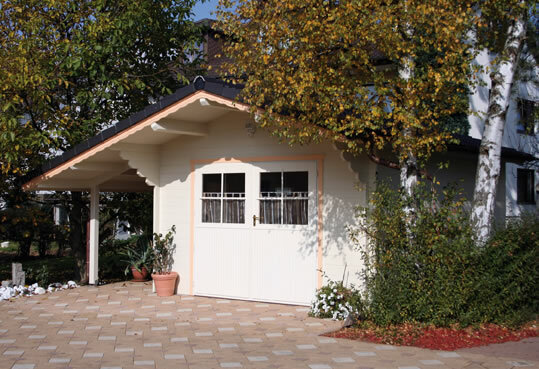 This 34mm log cabin garage features a single door and side window. 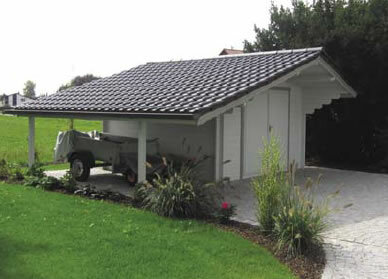 This 44mm log cabin garage features a single door and side window. 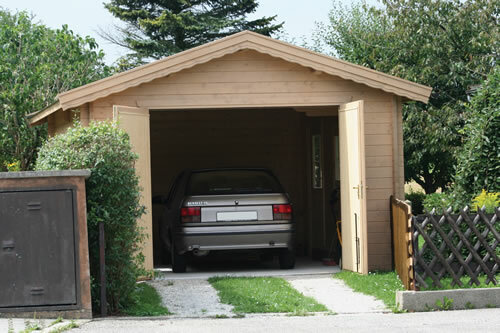 12'8" x 19'2"
This premium garage is the ideal storage solution for a car. Also fitted with a canopy to the side for extra storage. 13'1"x16'4"